No live streaming setup was available. So it’s time for old school, cell phone, 15 frames per second (sometimes 5 fps) coverage of the Semi-Finals and Finals of MAGfest Circuit Event Finals. 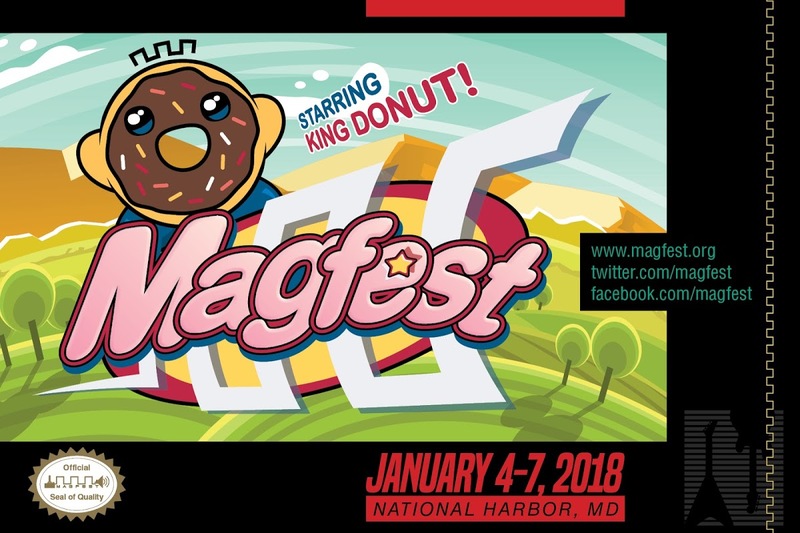 Brought to you by: King Donut!